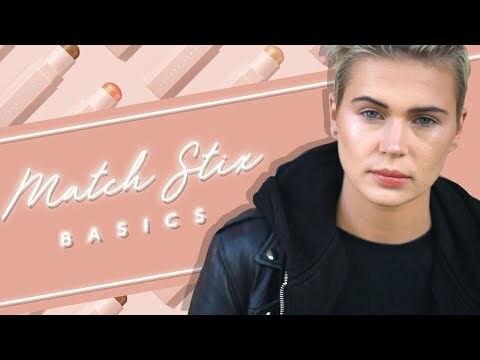 Swipe Match Stix onto skin and blend. For the ultimate blending on the fly, pair with Portable Contour & Concealer Brush 150 and Portable Highlighter Brush 140. Match Stix Trio Conceal, Contour, Highlight is rated 4.2 out of 5 by 22. Rated 4 out of 5 by Alisha from Contour Magic These match stixs are great to travel with. They blend very nicely. They are best for the oily combo skin tone as it may be a little drying for others. Rated 2 out of 5 by Sakura from good for oily skin For oily skin ,it is easy to blend but for dry skin it doesn't blend well and get cakey after some time.. Rated 5 out of 5 by Imane from The best Fenty contouring stick is my favourite,it’s blended easily and very soft on my skin ! I love it !! Rated 5 out of 5 by zahra from fine the concealer is a perfect match for me, love the contour, but the highlighter is meh.